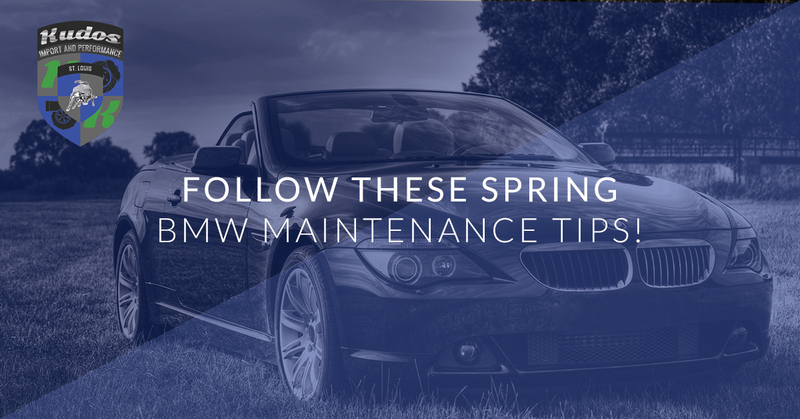 After a long winter, the beginning of spring is the perfect time to make sure that your BMW is ready for the warmer months that will soon be upon us. Here at Kudos Import and Performance, it is our mission to help Chesterfield area residents are as informed as possible when it comes to taking care of their luxury import automobiles. These vehicles are high-performance machines that require specialized care and services and we want to make sure that you know exactly which issues you should be looking out for to ensure that your vehicle runs as it was intended to. To help ensure that everyone is on the same page, below we have listed just a few things that you need to check to make sure that your BMW is ready for the road. Oil, as many of you already know, is an essential component to your BMW. Oil is what makes sure that all of your moving parts stay properly lubricated and, before checking anything else, it is important that you make sure your oil is ready for the months ahead. If you haven’t had an oil change all winter, we suggest that you schedule on to make sure that your oil is ready to perform once the temperature rises. After checking your oil, it is also important to make sure that other important fluids in your vehicle, such as the power steering fluid and the transmission fluid, are ready to go. If you are unsure how to properly gauge whether or not the fluids in your vehicle are good to go, contact us today at Kudos Import and Performance to schedule a maintenance check. It’s not secret that winter roads can wreak havoc on even the most well-maintained vehicles tires. Icy conditions and road salt can quickly cause damage to tires and it is important that your tires are able to handle the rainy weather that so often accompanies spring. If you had winter tires on your BMW, now is the time to make sure that your spring tires are ready to be installed. When inspecting your springs tires, note any areas on the tread that are specifically worn and be on the lookout for any cracks that may have developed along the wall of the tire. Additionally, we here at Kudos Import and Performance feel that spring is the perfect time to make sure that your tires are properly rotated and that your vehicle’s alignment is properly set. Join us again next time as we continue to cover some of the most important spring maintenance issues that you should be aware of for your BMW. If you’d rather have an expert make sure that your BMW is good to go, contact us today at Kudos Import and Performance. We have been helping Chesterfield area residents keep their luxury vehicles in proper repair for years and we would love to help you make sure that your vehicle is performing at its optimal level. Contact us today and let’s get started!